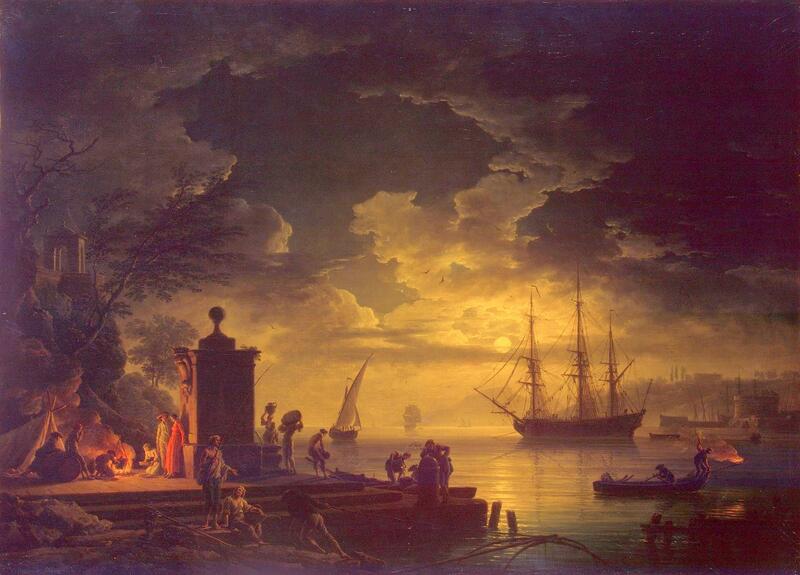 Claude-Joseph Vernet – The Hermitage Museum ГЭ-1197. 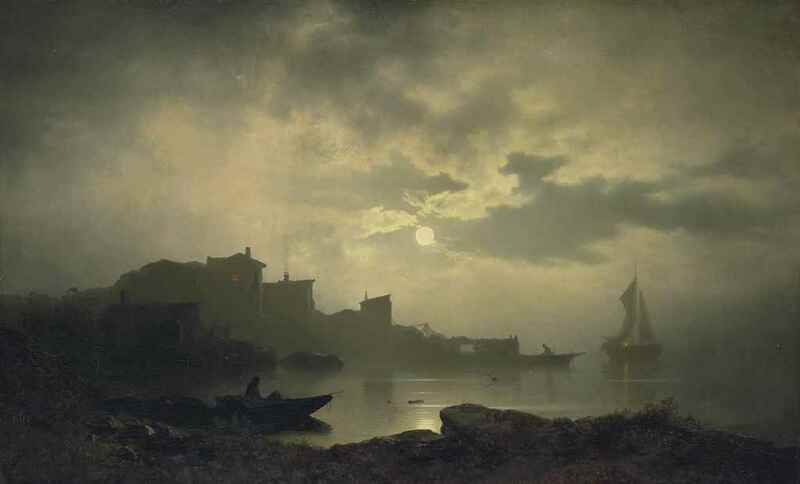 Title: Moonlit Scene in the Environs of Citta Nuova in Illyria. Date: 1761. Materials: oil on canvas. Dimensions: 99 x 136 cm. Nr. : ГЭ-1197. 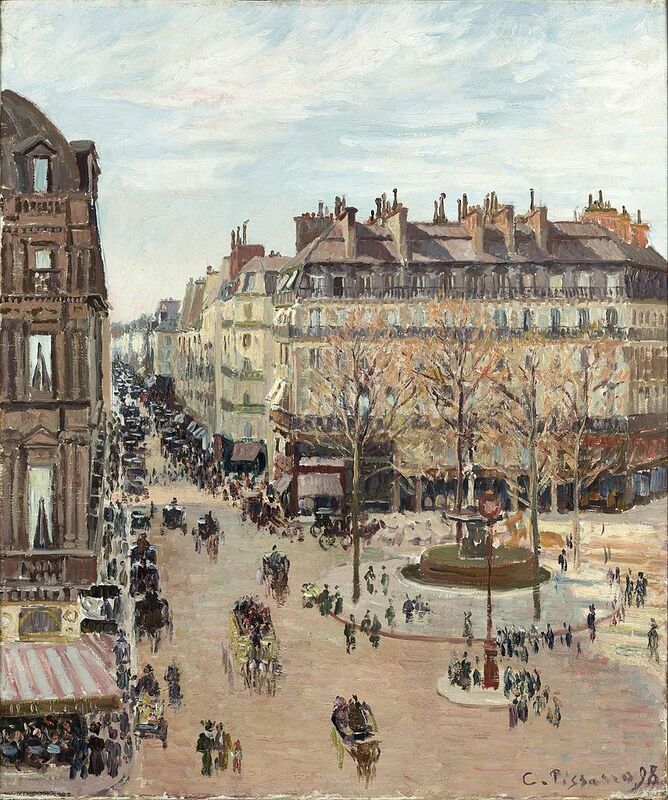 Source: http://www.hermitagemuseum.org/wps/portal/hermitage/digital-collection/01.+Paintings/37268/?lng=en. I have changed the light and contrast of the original photo. Materials: oil on oak panel. Dimensions: 60 x 84.2 cm. Nr. : 783. Acquisition date: 1817. Source: https://sammlung.staedelmuseum.de/de/werk/eingang-zum-wald. I have changed the light and contrast of the original photo. 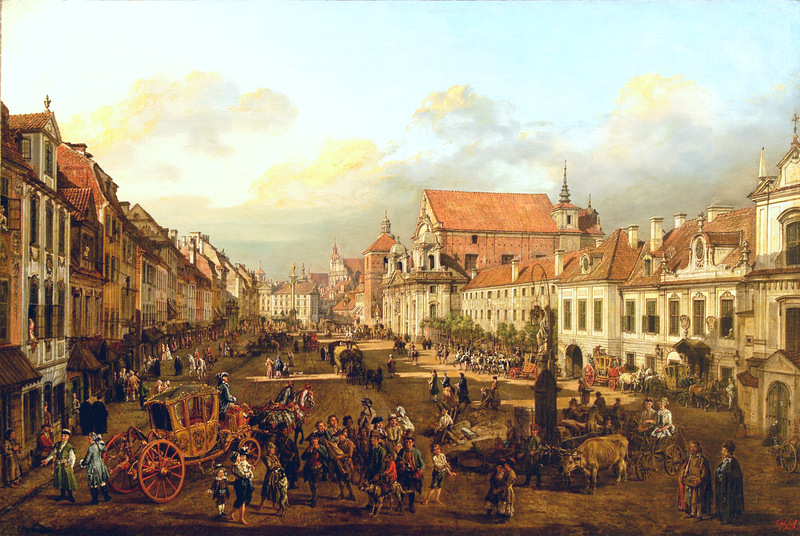 Bernardo Bellotto – The Royal Castle in Warsaw. Title: View of Cracow Suburb leading to the Castle Square. Date: 1774. Materials: oil on canvas. Dimensions: 115 x 170.5 cm. Source: https://s-media-cache-ak0.pinimg.com/originals/54/d6/7e/54d67e25857cc7c67c66e91de2532af7.jpg. I have changed the light, contrast and colors of the original photo. 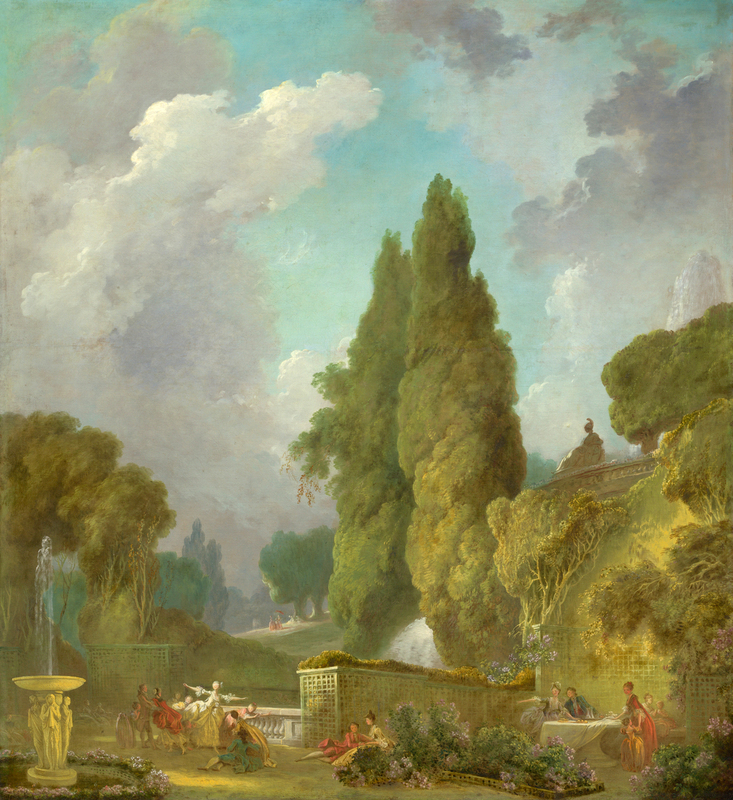 Jean-Honoré Fragonard – The National Gallery of Art 1961.9.16. Title: Blindman’s Buff. Date: c. 1775-1780. Materials: oil on canvas. Dimensions: 216.2 x 197.8 cm. Nr. : 1961.9.16. Source: http://www.nga.gov/content/ngaweb/Collection/art-object-page.46115.html. I have changed the light and contrast of the original photo. 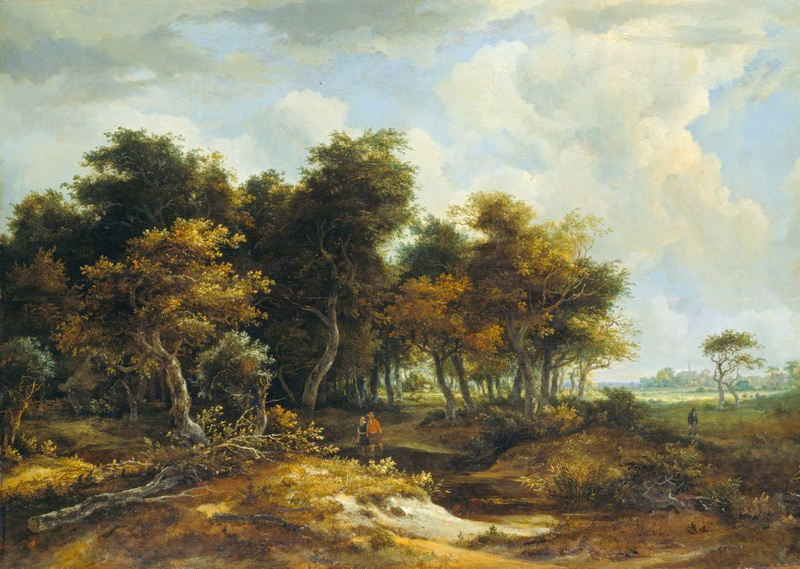 Salomon van Ruysdael – private collection. 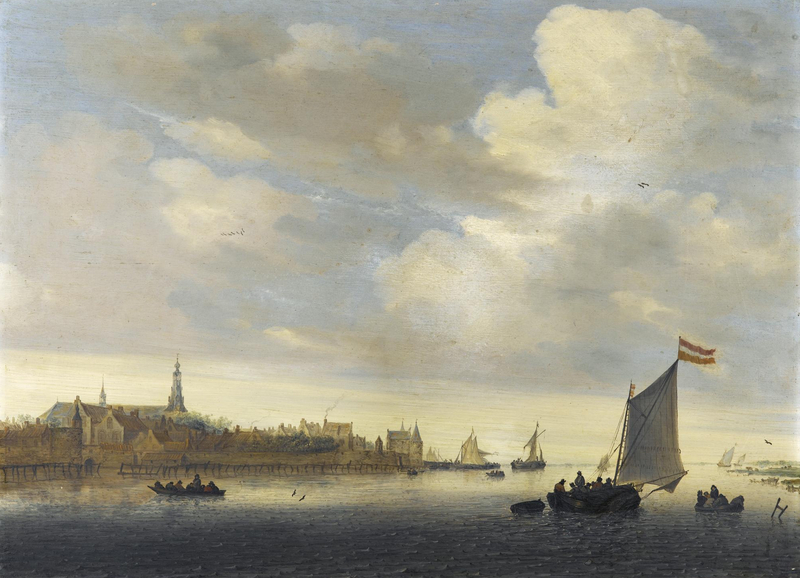 Title: A River View with the Town of Weesp. Date: 1650. Materials: oil on panel. Dimensions: 47 x 63.5 cm. Inscriptions: SVR (in ligature) 1650 FE. Sold by Sotheby’s in New York, on January 28, 2010. 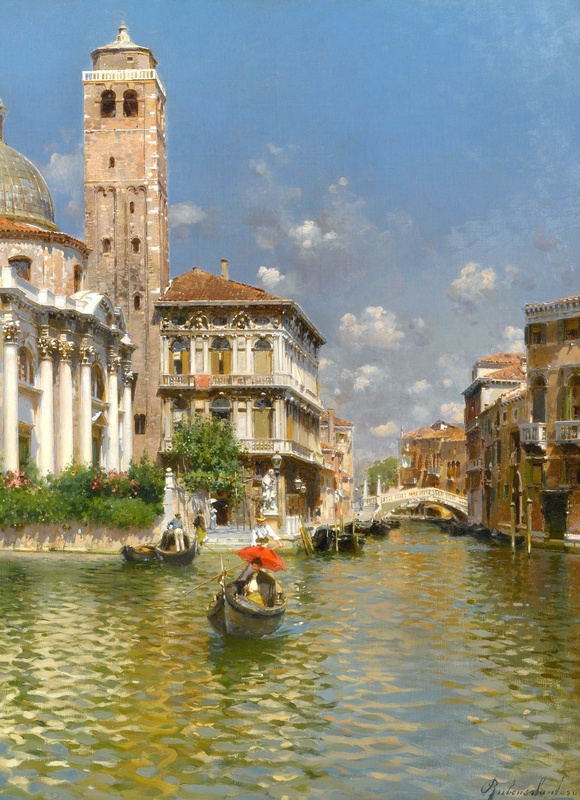 Source: http://www.sothebys.com/content/dam/stb/lots/N08/N08610/N08610-165-lr-1.jpg. 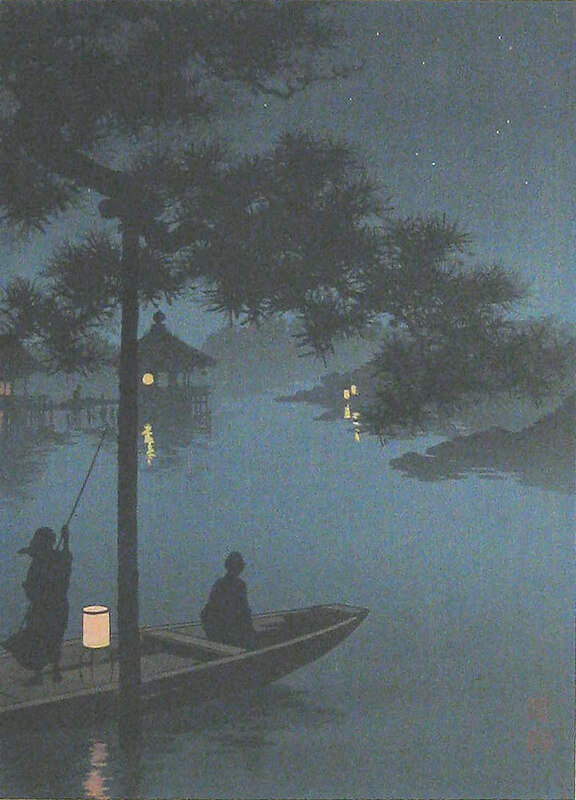 Koho Shoda – private collection. Title: Lake Biwa. Date: c. 1910s – 1920s. Materials: woodblock print. Publisher: Hasegawa Dimensions: 25.4 x 18.4 cm. Source: http://www.scriptum.com/images/printslarge/Koholge.jpg. I have changed the light and contrast of the original photo. Sophus Jacobsen – private collection. Title: Moonlit Bay. Date: c.1850s-1910s. Materials: oil on canvas. Dimensions: 76.2 x 127 cm. Sold by Christie’s in New York, April 25, 2016. Source: http://www.christies.com/lotfinderimages/D59898/sophus_jacobsen_moonlit_bay_d5989877g.jpg. I have changed the light and contrast of the original photo.